The City of Moreno Valley will host its 10th Annual Veterans Day Ceremony on Saturday, November 11th at 9:30 a.m. The Veterans Day Ceremony will be held at the Moreno Valley Veterans Memorial located at 14177 Frederick Street. This event will honor those who have selflessly served the nation in all branches of the United States military. Colonel Earl T. Williams of the United States Air Force (Ret.) will serve as this year’s keynote speaker. Colonel Williams, a 98 year old World War II veteran, will share a compelling story from his time in service to our nation. This is an increasingly rare experience to hear first-hand comments from a World War II vet. Colonel Williams survived the attack on Pearl Harbor on December 7, 1941 as a 22-year-old assistant crew chief in the Army Air Corps. He served the country for 29 years and did not seek recognition for the injuries he sustained by enemy fire that day at Hickam Field. Recognition of the 2017 Heroes for Heroes award winner. The Heroes for Heroes program honors the significant efforts of individuals or organizations that benefit veterans, reserve and active duty military personnel. The Moreno Valley Master Chorale will perform several patriotic songs and melodies. 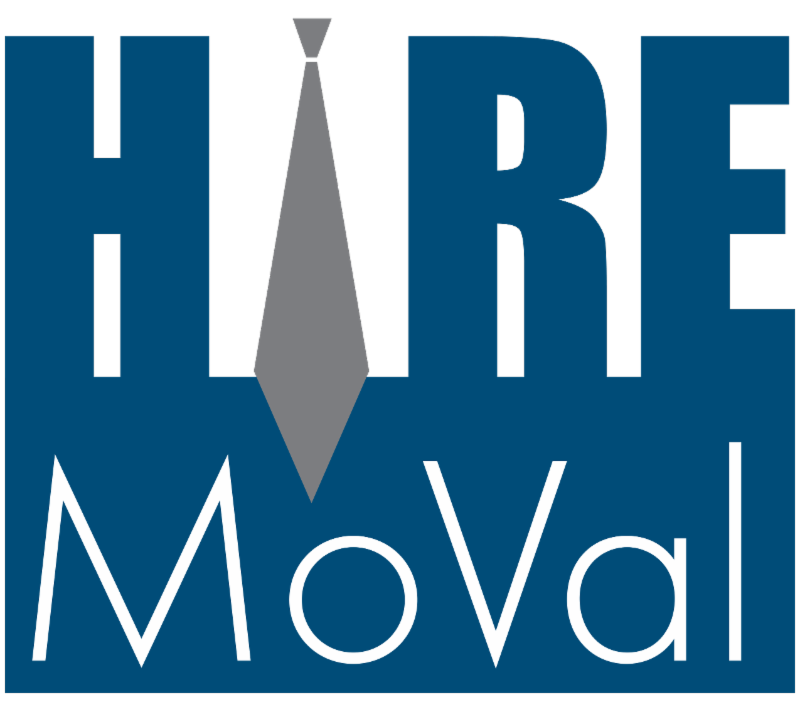 The Chorale, founded in 1986, actively serves our community through several annual performances including participation in many City of Moreno Valley and regional events. The Presentation of Colors will be performed by members of the award-winning Rancho Verde High School AFJROTC Color Guard. As a member of the Blue Eagles Total Force Honor Guard, Senior Airman Renee McKinney will sing “The Star-Spangled Banner.” The Blue Eagles Honor Guard is a combined group of Active duty, Air National Guard and Air Force Reserve ceremonial guards. The team, based at March Air Reserve Base, also performs military funeral honors and ceremonial functions. The Moreno Valley Unified School District Elementary School Choir will perform celebratory and patriotic songs. The choir is part of a thriving performing arts group which continues to grow through MVUSD’s focus on the arts. Artwork created by local elementary students will be on display as expressions of their gratitude for the service and sacrifice of veterans. 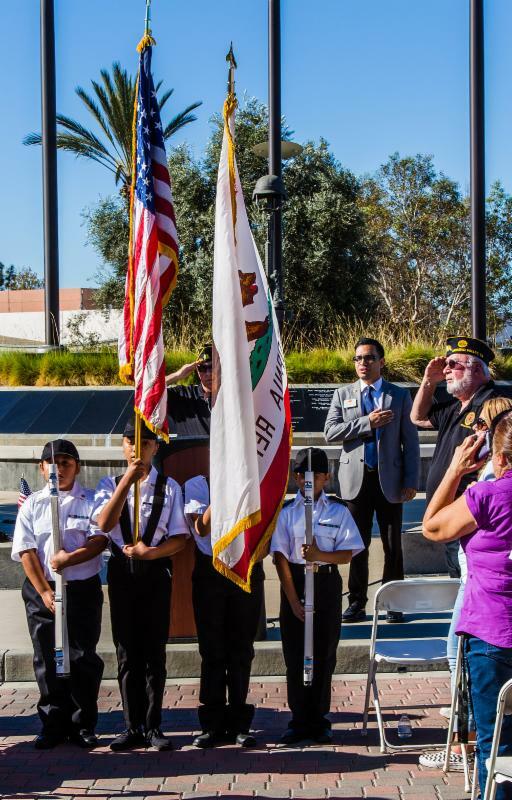 For more information about the City’s Veterans Day Ceremony, please call 951.413.3008. The delicious deep-fried turkey has grown in popularity in America. The Moreno Valley Fire Department is pleased to provide important information to assist backyard chefs in safely creating this seasonal culinary delight. Turkey fryers should always be used outdoors, at safe distance from buildings and any other flammable materials. Make sure the fryers are used on a flat surface to reduce the risk of accidental tipping. Never leave the fryer unattended. Because most units do not have thermostat controls, the oil will continue to heat until it catches fire. Never let children or pets near the fryer, even if it is not in use. 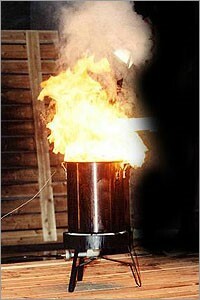 The oil inside the cooking pot can remain dangerously hot for hours after use. Keep an all-purpose fire extinguisher nearby. Never use water to extinguish a grease fire. If the fire is manageable, use your all-purpose fire extinguisher. If the fire increases, call 9-1-1 immediately. Operation Holiday Cheer includes programs designed to brighten the lives of children and families that are experiencing an economically challenging time. Shop with a Cop - Eligible children go on a shopping trip with a Moreno Valley Police Department Officer to pick out their own presents. Holiday Parade - Santa and his Officer helpers parade through select neighborhoods in Moreno Valley helping to create a fun holiday atmosphere by providing candy, stuffed toys, smiles and laughter. Holiday Party - A grand holiday party for approximately 45 qualifying families is held each year at the Conference & Recreation Center. The Party includes a catered meal, live entertainment, games, photos with Santa, and of course, gifts! Donations are being accepted at the Moreno Valley Police Department located at 22850 San Juan De Los Lagos. Contact the Moreno Valley Police Department's Community Services Unit at 951.486.6717 or visit www.moval.org/pd for more information. Join the City of Moreno Valley Saturday, December 2nd, for a day of fun-filled holiday entertainment. The City’s winter festivities begin with Snow Day at 9:00 a.m. at the Conference and Recreation Center located at 14075 Frederick Street. During Snow Day, children of all ages can enjoy fun winter activities and experience the thrills of playing in snow under the warm Moreno Valley sun. Residents can purchase a Snow Day wristband, which guarantees 45 minutes of snow play, for $6. The cost for non-residents is $8. Other activities include a Tot Lot for children ages five and under and a Snow Run for children ages six through twelve. Moreno Valley's Snow Day will conclude at 5:00 p.m. Directly following Snow Day, Moreno Valley's second annual Holiday Tree Lighting Ceremony will begin at 5:30 p.m. at the same location. Attendees of this free tree lighting ceremony will experience an impressive display of lights and holiday decorations. The ceremony will be hosted by Mayor Yxstian Gutierrez. 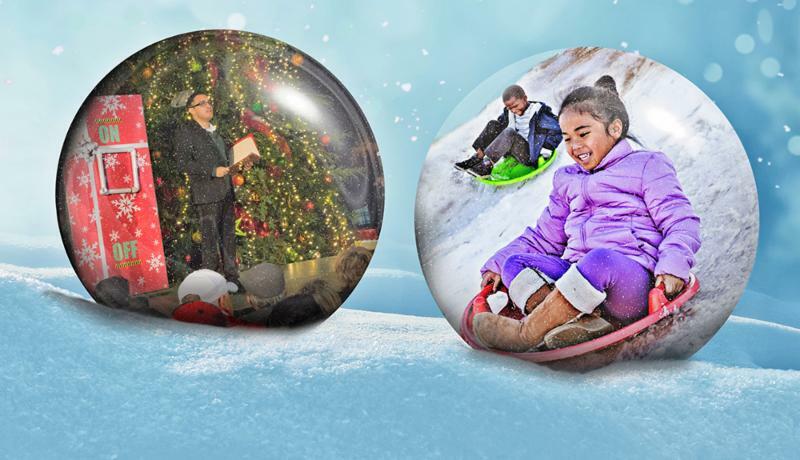 This is a fun and festive way for the community to come together and celebrate the holidays. 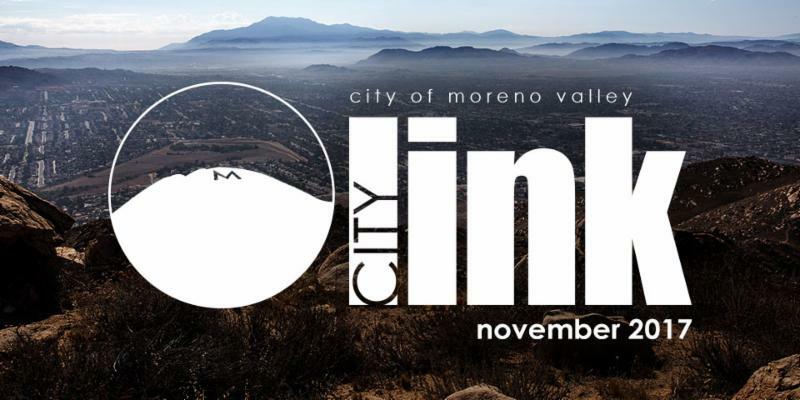 For more information about holiday events in the City of Moreno Valley visit www.moval.org/holidays. 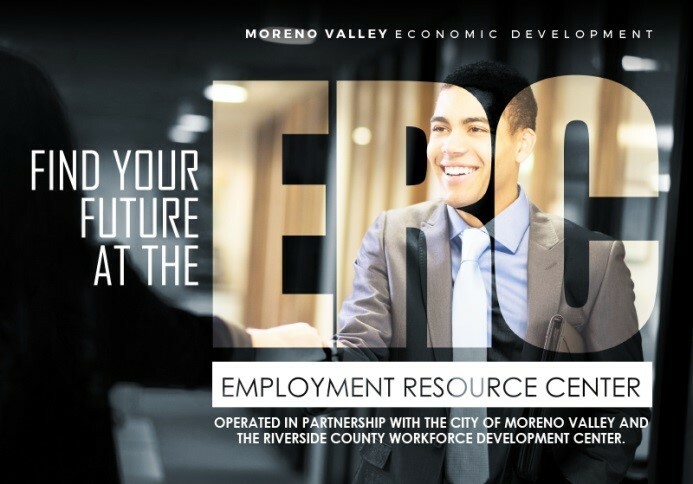 The City of Moreno Valley and California Baptist University (CBU) are proud to announce the opening of a new university educational service center at the Moreno Valley’s Employment Resource Center. The center is located at 12625 Frederick Street in Moreno Valley. This campus is the result of a joint partnership between the City of Moreno Valley and CBU’s Division of Online and Professional Studies. 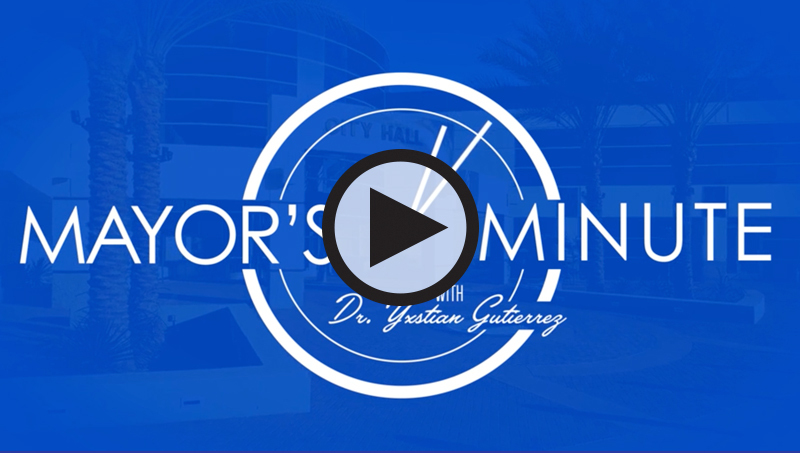 This partnership has brought university services to Moreno Valley in order to provide additional resources for Moreno Valley residents to further their education. Degree offerings will include Bachelor’s, Master’s and Doctorate programs. 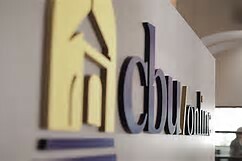 The new CBU location serves as an enrollment center for new students as well providing a classroom setting and study area for CBU students. 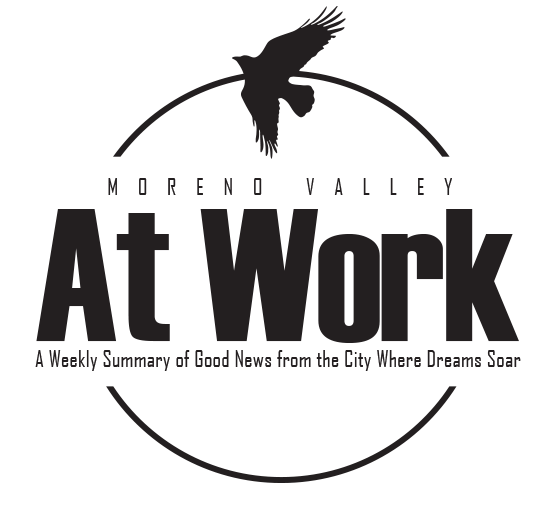 The City is working closely with CBU officials to tailor programs to the growing Moreno Valley job market with a focus on the fields of medicine, business, global trade and logistics. For more information and to register for classes, please visit www.cbuonline.edu, email cbuonline@calbaptist.edu or call 877.CBU.3238.